Juventus are reportedly setting their sights on a move for Brescia youngster Sandro Tonali, who has also been linked with a move to Liverpool. As noted by The Sun last month, the Merseyside giants were said to have begun talks with the Serie B outfit over the £30m-rated youngster, who has continued to impress in their pursuit of promotion to the top flight so far this season. Tonali has scored two goals and provided five assists in 19 appearances in Serie B so far this this year, while given his positioning on the pitch and style of play, he has drawn early comparisons with Andrea Pirlo, who also came through the youth ranks at Brescia. 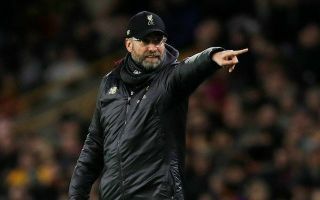 However, Liverpool will seemingly face stiff competition in the pursuit of his signature, as Calciomercato note that Juventus have made the midfield ace a priority and will look to put the groundwork in now ahead of a possible summer switch. Time will tell if Tonali would prefer a move to Turin, with coach Massimiliano Allegri’s side pushing for an eighth consecutive Serie A title while also competing in the Champions League. Miralem Pjanic, Emre Can, Sami Khedira and Blaise Matuidi all remain key figures in midfield, and so perhaps unless there was a strong chance of playing regularly to continue his development, it might be enough to make Tonali consider his options. The same could be said at Liverpool with Jurgen Klopp boasting quality and depth with his side competing on various fronts, but should Tonali continue to impress, it will surely lead to a move elsewhere sooner rather than later.